Hail Pikeville: State Championship Special Edition! We have been very pleased with the season Pikeville has had, to date. 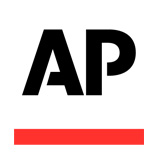 KPGFootball voted Pikeville in the top spot of nearly every ballot we cast this Fall in the Associated Press poll. We forecasted Pikeville would play Beechwood for the State Championship before the season even started. We have picked, almost to the exact number, the Pikeville score a whopping 6 times out of 13 attempts. This past week we felt Pikeville was 11 points better than Raceland and Pikeville ended up winning by 19 points. By our standards, we feel as though we owe you an apology. Regardless, we were again correct in that Pikeville won the game and advanced to Lexington, Kentucky to play the team we forecast it would play before the season even began. 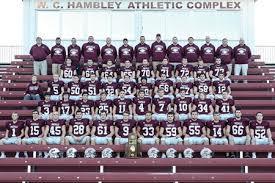 This has been a season where Pikeville has added a 23rd football onto its wall and now it’s time to add the fifth cut-out of the Commonwealth of Kentucky, signifying a fifth State Football Championship. There is no need to change up what we have been doing because if it ain’t broke; don’t fix it! Let’s stay on our proven formula and break down this match-up by looking both backwards and forward and, at the end, we will give you our prediction as to how we see this resolving. This is our last opportunity to hit one this season dead-on the number, which we will (undoubtedly) do this week, so let’s take an extra-hard look at this game to insure this opportunity doesn’t fall by the wayside. Offensively, against the Raceland Rams, the mighty Panthers were surgically efficient and used some extra-ordinary defensive play to inflate the margin a tad. Can’t really say much about the play of Connor Roberts this year other than he is our Mr. Football, whether or not Kentucky agrees. Just can’t imagine a kid impacting his team’s fortunes any more profoundly, this season, than Roberts has impacted the Panthers. Against Raceland, Roberts was 9 for 13 passing for 55 yards and a TD. Jackson Hensley showed off his arm, and athleticism, by completing his only pass attempt for 32 yards and a second passing TD. Roberts led the ground game, similar to how he has done all year, rushing it 27 times for 156 yards and scoring a TD. Consider this…this season Roberts has thrown for 1,907 yards with 24 passing TDs against 5 interceptions and rushed for 1,245 yards on 138 carries with 18 rushing TDs. Folks, all-told, this one player has accounted for 3,152 yards throwing and running with 42 TDs (for which he has also either thrown or rushed) while leading his team to an 11-2 record and a berth in the State Championship game. If someone has played any better than that; KPGFootball would like to see the comparable statistics. There were some other noteworthy performances against the Rams. Linebacker, Jon Collum rushed the ball 3 times against the Rams, a wrinkle for which they appeared ill-prepared. Collum gained 75 yards, in the limited amount of attempts, and scored a rushing TD. Christian Billiter and Jackson Hensley each caught 4 passes and had a TD reception a piece with Billiter also picking off a pass and returning it 50 yards for the pick-six. KPGFootball predicted the game would be a 23-12 win for the Panthers and it ended up a win for the Panthers but by a 38-19 margin. We are still thrilled for the win and will take it! 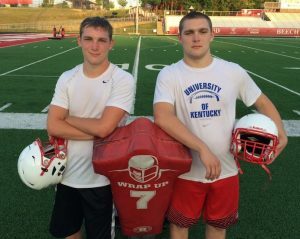 One thing remains certain, Beechwood will be one the most highly regarded teams Pikeville has seen on the year. Of course, it’s the Championship so what does one expect? This match-up, as one would imagine, pits two teams with identical 11-2 records. 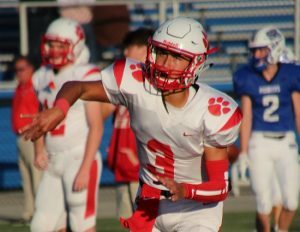 Hey, when you are Class 1A teams as good as both Beechwood and Pikeville, it can be a challenge to find 10 teams willing to play you during the regular season. According to both the Calpreps.com and MaxPreps.com’s computer algorithms, Pikeville is the 19th best football team in all of Kentucky (out of 222) regardless of classification and the 1,774th best team in all the land. Beechwood is the 14th best team in Kentucky and the 1,346th best team in all the land according to the same two algorithms. The only two teams to beat Beechwood on the year were Corbin (12th in KY; 1,257th in USA), 21-14, and Covington Catholic (Kentucky’s top-rated team and the 177th best team in all the land), 49-14. Covington Catholic beat the tar out of Beechwood; but, then again, they are both Class 5A and Kentucky’s top-rated football team according to two sources impervious to bias. Paintsville’s only two losses were to Belfry, ranked similarly to this Beechwood team (16th in KY, 1,557th in the land) by a score of 36-21 and to Point Pleasant, WV, West Virginia’s 11th best team, to whom Pikeville lost, in Point Pleasant, WV, by a score of 41-34. Statistically, with the teams playing similar schedules strength-wise, outside of Beechwood’s playing a Covington Catholic team which ran them off the field, Pikeville has outscored its opponents, on the year, by an average of 43.2 to 15.3 while Beechwood has a scoring differential of 42.77 to 13.23. Both teams play what we consider championship-caliber defense and both teams are explosive and score a lot of points offensively. The first team to 21 here might well win the game. Beechwood has run, on the season, for 3,058 yards and passed for 1,635 yards for a run/pass ratio of 65%/35%. Defensively, the Tigers are most susceptible to the forward pass, having allowed 1,462 yards passing exceeding the 1,240 yards it has allowed teams to run the football. Cameron Hergott, who transferred in from Ft. Thomas Highlands, has completed 95 of his 156 passing attempts (.6089743) for 1,597 yards passing and 22 passing TDs. Hergott has thrown 7 interception in his 13 games of action. Cameron has also rushed the ball 69 times for 442 yards rushing with 6 rushing TDs. Hergott is a threat to run the football but not nearly to the degree of a Connor Roberts. Between Highlands and Beechwood, Hergott will be well accustomed to facing tough customers and neither the setting nor the opponent will rattle him. 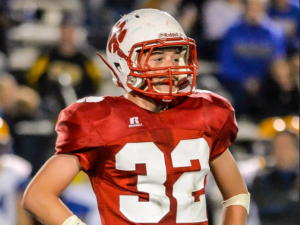 Logan Castleman is a player whom we featured at KPGFootball on June 1, 2019 in an article entitled Logan Castleman, Class of 2019, quintessential to Beechwood’s hopes(? ). We feel Castleman has answered the question with the type of production we were forecasting as early as June of this year. Castleman is quite an athlete and is committed to Wright State University to play college baseball. Last baseball season, on the diamond, Castleman batted .439 with 32 RBIs and 38 runs scored with a fielding percentage of .937. This year, in football, Castleman carried it 185 times from scrimmage for 1,593 yards rushing and 28 rushing TDs. Castleman was 52.4% of the backfield’s carries, 55% of the TDs rushing, and together with Hergott, comprised 72% of the runs from scrimmage, 95% of the throws, 68% of the total yards gained running the football, and 77.4% of the total, seasonal, offensive production, either throwing or running the football. The leading receiver for the Tigers is John Odom. Odom has caught 31 of the team’s 99 completions for the season for 617 of its 1,653 total aerial yards. Odom has also caught 6 of the team’s 22 TD receptions. Between Odom, Castleman, and Hergott, they scored 290 of the teams 544 total points (53.31%) and, Hergott is a QB and QBs don’t get credit for scoring on their TDs thrown as that production is attributed to the receiver. The Tigers, this year, have been productive offensively when those three pistons are firing. Those are the three guys you have to check if you wish to contain the Tiger offense. If it gets down to the kicking game, both teams have reliable kickers. Beechwood’s Collin Graman is 66 for 69 on PATs, but doesn’t have a field goal on the season according to what statistics the team provided the KHSAA. 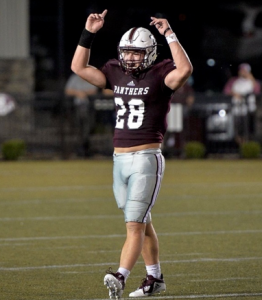 Tanner Hamilton, for Pikeville, has kicked only one field goal on the year, but has contributed 5 two-pointers, and converted on 42 of his 47 PATs. Defensively for the Tigers, Duncan Baugh has to be contained at DE (twin brother, Dayton, is also a down lineman for the Tigers) as Duncan has 8 QB sacks on the year. John Odom, who is the leading receiver as above discussed at length, also leads the team in interceptions with 5. Mason Williams has 4 interceptions for the Tigers and Logan Castleman (as if he doesn’t contribute enough offensively) tallied 4 picks. This is a well-coached football team making its fourth consecutive trip to the State Title Game. Beechwood won the 1A State Championship in 2016 (over Hazard) and 2017 (over Raceland). The last time Beechwood lost the Title? Beechwood lost to Pikeville in 2015…42-28. Good coaching staffs see their teams improve as the year progresses. What that means is, at least in theory, the Pikeville team playing right now shouldn’t still lose to either the Point Pleasant, WV, and maybe not the Belfry teams it saw earlier in the year. 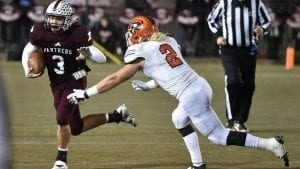 Pikeville is a better team today than it has been at any previous point in the season and, entering the Championship game, is playing its best football of the year. We believe the Raceland game is an indication of that as Raceland entered the Semi-final game 11-2, the same record as Beechwood, and was drummed 38-19. Make no mistake, Beechwood is very well coached too and all the stuff we said about getting better, owing to being well-coached, applies equally to the Tigers. Can’t say as we sit here today, Beechwood still loses to the Corbin to whom it lost on September 7th in Corbin, Kentucky. May lose to the Corbin playing Central for the 3A State Football Championship, but maybe not the September 7th version of Corbin. As for Covington Catholic, if Beechwood were to play them 100 times they would get run off the field all 100 times, sorry! This is a very hard game to predict. While Pikeville won’t be the best team Beechwood has played, they are better than what they saw in Campbellsville and by quite a margin. Beechwood will be the best team Pikeville has played, this year, but not be a land-slide. Pikeville had the harder Semi-final opponent, however, Beechwood is way better offensively than Raceland though, at least statically, the Rams and Tigers play similarly on defense. The question, defensively, for the Panthers is can they contain the offensive, three-headed beast of Castleman, Hergott, and Odom while keeping the back-end and DE from shutting down what the Panthers want to do offensively? We voted Pikeville over Beechwood almost every week, back during the year, when voting our Associated Press, weekly top-10 ballot. We don’t see any reason to depart from that, this week. Next week, should the Pikeville High program wish, we may publish a final Hail Pikeville article detailing the Championship Game. Otherwise, know it has been KPGFootball’s inestimable privilege to get to report on the Pikeville High School Football team this 2018 season. Let’s end this thing the right way! Don’t forget to follow us on Twitter @KPGFootball and subscribe to the on-line magazine by going to www.kentuckyprepgridiron.com and following the prompts. Panthers, this has been Fletcher Long, reporting for KPGFootball, reminding all of the ballers out there to PLAY THROUGH THE WHISTLE. © The information contained on this site is the copyrighted intellectual property of KPGFootball. Any unauthorized dissemination of this material without the author’s express written consent is strictly prohibited!